Australia’s house prices are expected to begin declining in 2017 according to a new report from economic forecaster BIS Shrapnel. According to the company’s Residential Property Prospects, 2015 to 2018 report, low interest rates will support further price growth in undersupplied residential property markets in 2015/16, but the spectre of tightening interest rates, rising supply and deterioration of affordability will create conditions for price declines in a number of cities from 2017. BIS Shrapnel have as good a track record for predicting markets as any of the big research houses – sometimes they get it right and sometimes they get it wrong. Having said that, of course this property cycle must end at some time and the likely cause will be rising interest rates as it was in 2011, in 2003 and in the 1990’s. Report author, Angie Zigomanis, says most concerning is the explosion in apartment construction. 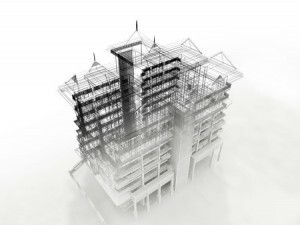 “Moreover, the boom in apartment construction over the past couple of years is creating a disconnect in the supply balance between detached houses and units, with a resulting difference in their price outlook. He said strong tenant demand would be needed to support rents and the value of apartments. Net overseas migration has fallen from a recent peak of 235,700 people in 2012/13 to about 184,000 during the 2014 calendar year. The slowdown in migrants is most evident in the mining boom states of Western Australia, Queensland and the Northern Territory. The report predicts interest rates to enter a tightening phase towards the end of next year, with the cash rate to rise by 0.50% in total. Median house price falls are expected to total 4% over 2016/17 and 2017/18, with total price growth in Sydney over the three years to June 2018 forecast to be 2% – resulting in a real decline of 6% over the period. Price growth has averaged at 9% per annum over 2013/14 and 2014/15. Perth’s median house price has dropped by 3% in 2014/15, and is forecast to continue to fall over 2015/16 and 2016/17, and stabilise in 2017/18. House prices have grown by 3% in 2014/15, however, the median house price forecast to be only 1% higher at June 2018 than at June 2015. Hobart’s median house price growth is forecast to be 4% over the next three years, reflecting a decline of 4% in real terms. “The rise in construction and limited population growth means that the current excess supply is likely to persist over the next three years. Canberra’s median house price is forecast to be flat over the three years to June 2018 (a total rise of 3% – reflecting a decline of 5% in real terms). Darwin’s median house median house price is forecast to decline by a total 2% in the three years to June 2018, resulting in a real house price decline of 10% over the period. It’s hard to argue with many of the points in this report: this property cycle will end like all others have in the past – with an oversupply of properties in some locations (this time particularly inner CBD apartments) and there will be a period when the value of some properties languish and the price of others will fall. However the property pessimists who were hoping for huge price drops will be disappointed – there will be no property market crash. Why should there be – there’s no property bubble to burst; just an orderly slowing down of the cycle and a winding down of excess exuberance. By the way…I believe there are still good long term (and even short and medium term) property investment opportunities ahead and I know I’m going to be taking advantage of them – and so should you. However it looks like we’ll have a much flatter cycle moving forward as there is little income growth or other impetus to sustain strong price growth; so don’t look for fast capital gains or the next hot spot. Home values in Australia’s capital cities have ended the year nearly 10 per cent higher after returning to growth in June and the value of “investment grade” properties will continue to rise in 2015 and 2106, albeit at a slower rate. You must also remember you’re not buying “the market.” You will be buying individual properties in the market, the type that will make great long term investments, so that when you look back in a couple of years time you’ll be glad you did. Just like those who bought the right properties before the market slowed down in 2011-12 and 2003-4 and in the early 90’s. Of course now is a particularly good time to buy properties to which you can add value through renovations or redevelopment and “manufacture” capital growth. As an investor you should only buy the type of property that will be in continuous strong demand by a wide demographic of owner-occupiers; and one located in the big capital cities of Australia, because these locations are underpinned by multiple pillars of economic support. You see…if you own the right type of property in the right location, it is likely to be less volatile in difficult times, there will always be tenants for it and its price is likely to be more stable. Even at the worst of times, such as in the downturn following the Global Financial Crisis, there were buyers for well located properties in our big cities, because even though the markets slowed, most people were still getting on with their lives. They were moving jobs, or getting married or divorced or having babies and therefore looking for accommodation. Like every other property cycle, this one will end leaving some investors who bought near the peak financially embarrassed. The problem is currently many of our property markets are strong and this is enticing a whole new generation of investors into our real estate markets. They’re encouraged by the media with stories of significant property price growth and particularly by the plethora of property shows on television showing how you can make an overnight fortune by renovating a run down shack. Rather than gearing to the max, smart investors will take a more prudent approach by building an emergency buffer to buy themselves time to ride through any economic storms ahead. This may be a good time to draw as much equity as your bank will allow in your home or investment properties and stash it away as a cash flow buffer. This could be in a facility such as a Line of Credit which should give you consistent financial stability, regardless of the ups and downs of world markets and local bank’s funding vagaries. Strategic investors will prepare for the worst, while hoping for the best – in other words set your self up to maximise your upside while at the same time covering your downside. 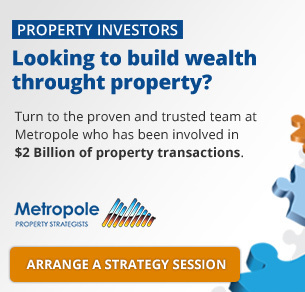 If you’re looking for independent property investment advice to help you reach your goals, no one can help you quite like the independent property investment strategists at Metropole. None have any real cred. Here’s some words that always ring true with investment, cyclic and luck. Hi Michael, we purchased an investment property in Roma (Surat Basin) a few years ago. The Surat CSG mining boom seemed to wind down faster then we all expected. Our rent has dropped from $450 to $250 week, and value has slid from $350k to $250k, But i’m told there’s millions about to be spent on the new Roma hospital, there’s about 1800 workers on the way for the new “Charlie fields” gas project close by at Wandoan, and another big gas project kicking off called “Maisey Block” at Roma. Will these things equate to a turnaround in the local Roma Property Market you think, or is it best to just cut losses & run. Any thoughts ? Cheers PAUL. Workers to build a hospital ar ea bit like the workers to build mining infrastructure – temporary at best and not owner occupier who push up local proeprty values. WOW ..what a lot of discussion! Firstly for once I largely agree with the forecast outcomes and MY’s commensts however…. Increases in Sydney and Melbourne have been much more prolonged and dramatic this cycle so expect the same when the markets start to correct back. Its all relative. Those markets with a heavy oversupply will obviously correct more severely and for a prolonged period. Lets not overlook the continued influence of our Asian buyers on the property market. In an auction across the road from me last Saturday (you know where M.Y.) 3 out of 4 bidders were Asians! The result…a 65m company title 1 br + sunroom apartment in great condition but with no garage or parking and levies at over $1400pq just sold for $711,000. The bank demanded a minimum 20% up front from the buyer and it would propably only fetch about $480pw rent.. Obvioisly interest rates and affordability played no role in this sale! It seems to me that there’s more to the increase in apartment construction than investor-driven demand. Given the emphasis on increasing in population density rather than the interminable sprawl, and State review of legislation on strata property, it’s likely that more apartments will become owner-occupied. Infrastructure pressure and lack of government resources to service new suburbs are already providing development opportunities in inner-middle ring properties and as urban forest concepts are well taken up, well-planned boutique apartments will be pleasant places to live. Interestingly, I’ve heard of 3 older couples in the past month who have sold or are, selling up their family home in the suburbs and moved into an apartment (one couple into a penthouse) right in Perth. In their 80s, this (penthouse) couple decided there were greater advantages to being close to well-established medical facilities, excellent courier services, and level living (provided the lifts remain reliable) than in downsizing or entering a lifestyle village. Oh to have the benefit of hindsight…. maybe it comes with age! I have also been thinking about what EM just said about larger apartment living for those downsizing. I have been working on a small boutique development, 15-19 apartments in Brunswick East – still very early days. My personal preference is to ideally build apartments that a family could live in, i.e. 3 bedders, 2 bath, living area. One that I’d like to live in. The issue is that if I do this, there is risk that I may over capitalize, and then $ per m2 is reduced. Does anyone have any opinions on whether there will be a shift in larger apartment living for families? I am thinking that all the CBD and inner CBD apartment development is for 1 bedders and 2 bedders. Lots of renters will eventually meet partners, marry and then have kids. 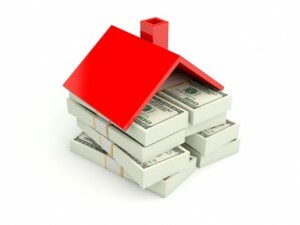 This typically involves moving out to the suburbs and renting or buying a house. The issue here is that they then need to commute an extra 1-2 hours a day if they still work in the CBD. Michael has said, avoid off the plan and apartments in CBD, as there will be oversupply. But, surely there is still demand for houses in inner CBD / 8km radius. If there is, would a middle ground of larger apartment living be a viable option for future developers? Are you able to answer Pat’s question regarding which are the good suburbs in Brisbane suitable for units that provide both capital growth and cashflow? People need a place to live. In tough times, we use other methods to be able to pay the rent. This can mean getting a second job or putting in a flatmate in the living room, which is what so many are doing in the inner city Sydney apartments. I am wondering how accurate BIS Shrapnel have been in the past. I remember that kids straight out of Uni were putting those reports together! I am a first time investor. If I wanted to invest in a Brisbane unit, which suburb? My preference is an inner city suburb or even the CBD in an off the plan apartment for tax savings? What would you suggest ? 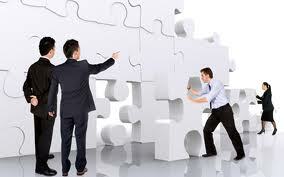 I am looking for good capital growth and rental yield. Nevertheless, small and mixed development complexes may provide advantage if well located, well finished or if likely to be in demand by owner-occupiers when complete. As to choosing a suburb in which to buy a unit, lease and hold, here are some suggestions to help narrow the field. 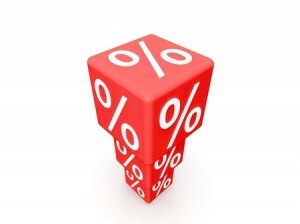 > what investment can you afford to service based on (current+1.5%) interest rates? Then search for suburbs that have units around that value. what would attract good tenants to that area, (services, proximity to education, work, recreation, heritage etc) and classify your preferred tenant (age bracket, family structure, socio-economic bracket etc) for those specific locations. > Is there a close match? > What are rental values in that location and, if they vary a lot, why? Is it unique/ standard/ poor condition/ out of date? This will require you to pound the pavement in that area; physically inspecting both properties available for sale and for rent so you can make comparisons. There’s a huge amount to be learned from physically inspecting (including what condition it’s in, who’s interested in it and why). Even being the only person who attends should help you better understand what’s happening in the area. Question agents about rates/ strata contributions/ etc to see what your expenses are likely to be before any repairs etc. > Reassess whether there’s a match. Look up statistics on tenancy levels (affects how difficult it might be to replace a tenant), local information on any planned works in the area (infrastructure/ upgrades/ new development). You’ll possibly discover works that were completed a couple of years before so note these and whether it’s changed anything about the desirability of the area. The aim is to learn as much as possible about your chosen area so keep track of your investigations even if you don’t choose that specific area this time round. I find creating a map of what I discover is helpful – it will show amenities such as transport routes, local shopping, schools, universities, parks, high voltage powerlines, what sold when, what rented when, as well as size of homes (if buying), standard of finish (3+1/4+2 etc). Then just looking at a property for sale within the area is immediately visual… I can inspect and think ‘oh, overpriced I’ll offer 12% less’, or even ‘seen that before I wonder what it’s like now’. It’s a process that you can repeat ad infinitum for decades. The trick is not just to acquire knowledge but to also understand. Interesting that you mention avoid regional centres, we are looking at a property in toowoomba( duplex) that is positively geared. Terry Ryder believes Toowoomba to be a good investment. Another area of interest for me is Peregian springs ( Sunshine Coast ). The latter I’m thinking of self managed super. 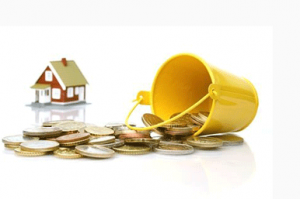 Be very careful in selecting a property for your SMSF – you’ll own it for the long term and it cannot be refinanced. Be careful listening to Ryder – he pushed all the mining town “hot spots” and look what happened to them.Now he’s taken all those recommendations of his website! Hi Richard. Regional centres do have opportunities, often for future development, but thorough research is still essential. Every “expert” has their following and their method and although they may recommend a particular location it may also be for a specific strategy. 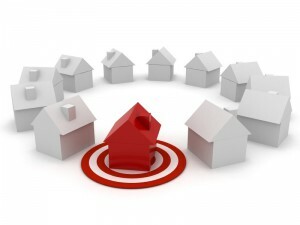 Your own strategy will determine what the right property is and what the right price has to be. Yes Peregian Springs (just South of Noosa) was an outstanding investment a few years ago, but investors swamped the place. Now its mainly upmarket owner occupiers and the prices have boomed reducing rentals yields. Great place to live, but investing is better suited about 30 minutes south around Kawana.